Terrestrial and aquatic ecosystem resources are an important part of our health, economic growth, and intrinsic well-being. Ecosystems provide a wide variety of services that are of value to us such as filtering pollutants from the air we breathe and the water we drink, developing the soils that we depend on to grow food, and providing natural flood control in wetlands. Ecosystems also serve an important climate function as regulators of the amount of carbon in the atmosphere. With altering changes in temperature and precipitation, the ability for an ecosystem to sequester carbon decreases and leads to an eventual, dramatic change in the atmosphere. 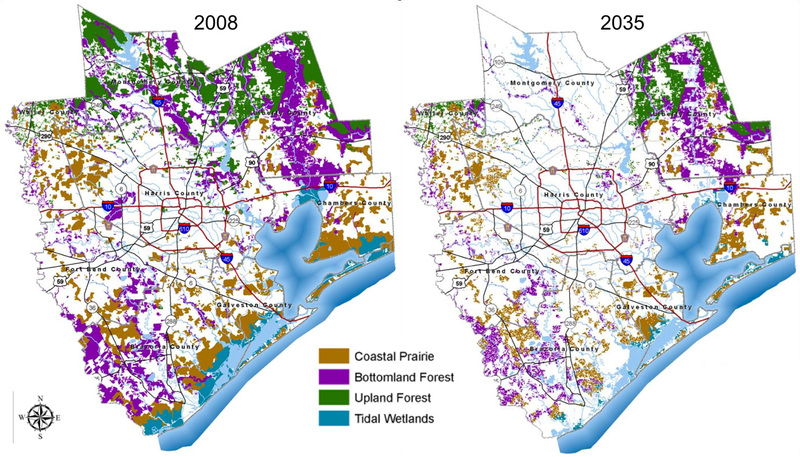 The Greater Houston region is home to several types of prairies, forests, wetlands, and bays. These ecosystems act as barriers to pollution, floods, and hurricanes, help purify water, and are a source of recreation. The city of Houston will be affected by changes in these ecosystems and the loss of the services they provide. The Gulf Coast is predicted to rise an average of twenty inches in the next fifty years, which could cause flooding along the coast of Texas. 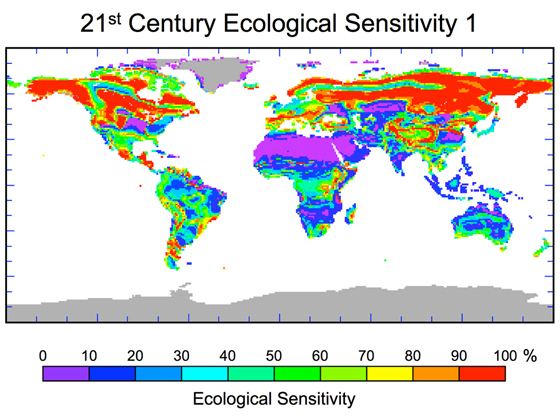 The US Environmental Protection Agency provides a gateway to exploring the benefits of Climate Action: Greenhouse gas mitigation, risks of inaction, and estimations of carbon stocks with a changing terrestrial ecosystem using the MC1 dynamic global vegetation model. The National Climate Assessment demonstrates ecosystem response to climate change and importance of environmental cues for the survival of terrestrial and aquatic species and the impact on biodiversity with a change to the system.